Architectural elements of Florence were the source of inspiration for the Florentine Pedestal with Granite Top. Renaissance architecture was the vision of Filippo Brunelleschi, whose ability to innovate and interpret Renaissance ideals in architecture made him a legend in his lifetime. He is responsible for the designs of the early Renaissance, which laid the foundation for the way architecture would develop in the future. His most famous design is the dome of Santa Maria del Fiore which was built in 1300. One of the objectives of the Renaissance was to reinvent the ingenuity of Greek and Roman art from 1500 years before. Brunelleschi traveled to Rome and meticulously studied Roman architecture. His designs broke away from the medieval traditions of pointed arches, vaulting, and the use of gold and mosaics. Instead, he used simple classical designs based on basic geometric shapes. His work and influence can be seen all over Florence. Award-winning designer, Shah Gilani, ASFD, was inspired by these architectural masterpieces of Florence when he designed the Florentine Pedestal with Granite Top. 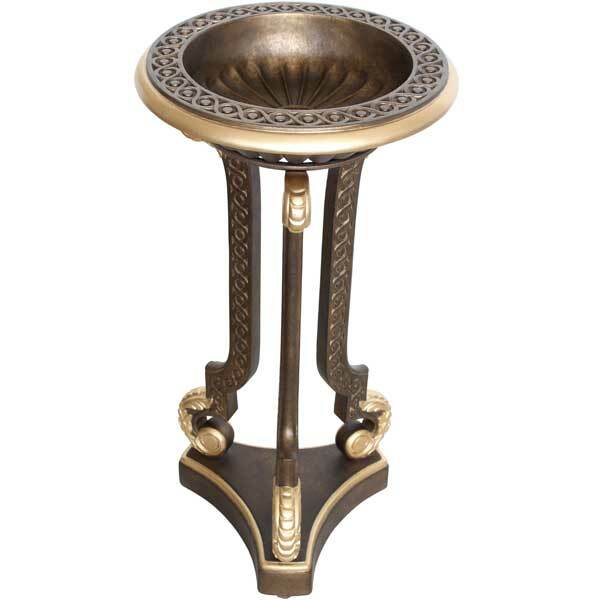 An interesting feature of this pedestal is that by removing the granite top it transforms into a Bowl on Tripod which makes an elegant plant or fruit stand. 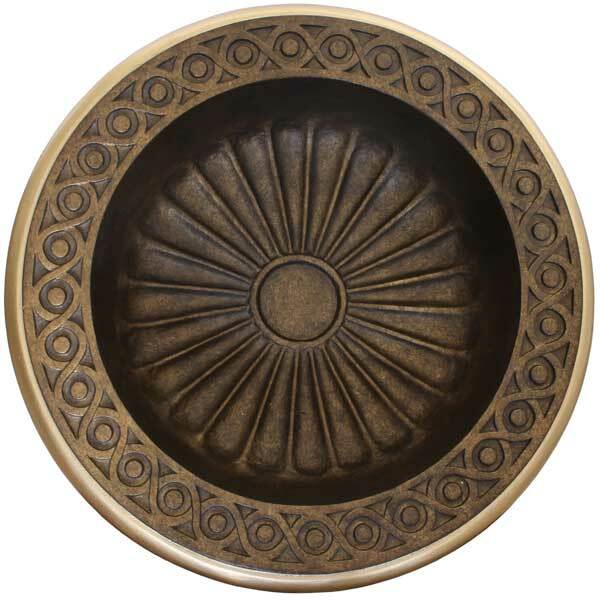 This exquisite piece is designed for use in upscale residential and hospitality interiors. Three polished bronze glides are provided which also serve as levelers – a useful feature when the floor is uneven. Custom sizing is available. 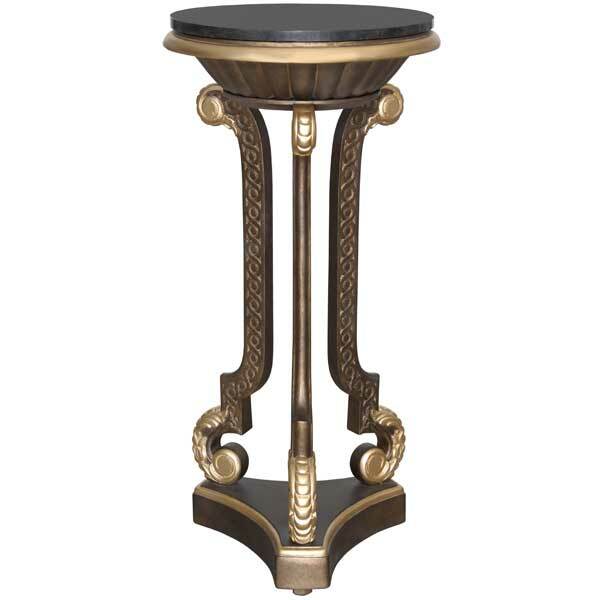 The pedestal is offered in a variety of finishes and accents.